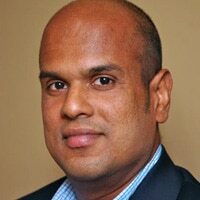 “Rampant” fraud levels being experienced by US card issuers that have signed up for Apple Pay need to be addressed with urgency, payments consultant Cherian Abraham has told NFC World, to avoid Apple, the individual banks and tokenized mobile payments as a whole suffering a reputational damage. The problem lies with the way in which Apple Pay handles requests to provision a card onto a device, Abraham, the mobile commerce and payments lead at Experian Global Consulting, explains. Fraudsters can enrol other people’s cards into Apple Pay on their own devices with relative ease. And, unless the current problem is fixed urgently, rising fraud levels could lead to some smaller banks deciding to pull out of the high profile mobile payments service, he warns. A Yellow Path, where the provisioning request is referred to the card issuer for an approval decision. It is the Yellow Path that is causing the issues, Abraham explained, since banks are not currently well positioned to make this kind of decision. “Within the Yellow Path, it is up to each and every issuer to implement the best way possible in terms of doing customer-level verification,” he said. “What we have seen since the Apple Pay launch is that mainly most of the issuers are opting to use call centres as their tool of choice for customer-level verification. “That’s the issue primarily because what the call centre reps are using to verify the customer is the last four digits of their security number, which isn’t really much of a hurdle for the fraudster to pass. Apple Pay did not make Yellow Path implementations mandatory until about four weeks before Apple Pay launched. “That was a huge deal because, until then, apart from a couple of issuers who launched with Apple Pay, others had no way of anticipating what would happen if requests were to come down the Yellow Path”. “The problem is that the smaller and medium sized banks are not going to be able to respond that quickly, they’re not going to be able to build anything of scale that quickly and neither will they have the stomach to stand the kind of losses that they’re likely to see,” Abraham continued. Apple Pay also has the potential to cause reputational risk,” Abraham added. “There’s a reputational risk from a bank standpoint, not from a consumer standpoint. Consumers haven’t exactly caught on to Apple Pay fraud because they are protected by the issuer and no customer today is able to differentiate between fraud coming in by somebody stealing their card and walking in to a store and committing fraud with it versus having their credentials provisioned through an Apple Pay device. “That level of information doesn’t trickle down to the customer. They never really see, or neither are they able to associate, the fraud they have seen on their account with Apple Pay. The reputational risk is more to Apple from their partners, rather than from consumers. “If banks start to pull out because the levels of fraud are too high, whether they pull out for temporary relief or until they deploy better measures, then customers are going to notice and then customers are going to notice that this is because their bank is unable to tackle the level of fraud that they are seeing from this and then that could send the wrong kind of messages to Apple in terms of the security of its product.